MONEY MATTERS: Self Managed Super Fund expert Monica Rules's 7th edition of her SMSF handbook is out now. SELF Managed Super Fund expert Monica Rule has published seventh edition of her handbook which uses simple language to guide readers through the complexity of SMSFs. The Self Managed Super Handbook - Superannuation law for Self Managed Superannuation Funds in plain English comes out of Monica's work in the finance industry, firstly after 17 years working in superannuation with the Australian Taxation Office, and then from last five years running her own SMSF consultancy and education business. She is well-known in the superannuation industry as an established author. As a columnist Monica regularly publishes articles on superannuation for SMSFs in newspapers and magazines. The handbook explains all aspects of the superannuation law, the major superannuation changes that took effect from July 1, 2017, and the 2018 Federal Budget proposals. 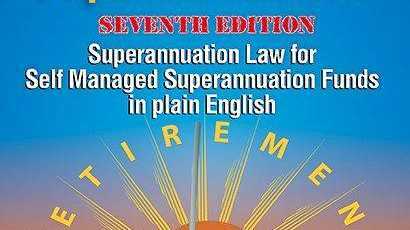 It explains what trustees and members can and can't do, and covers - SMSF structures, trustees, residency, operating a business, acquiring assets, lending, borrowing, auditors, contributions, benefits, administration, enforcement, tax deductions, tax payable, Superannuation Guarantee, plus super and divorce. The seventh edition of Monica Rule's The Self Managed Super Handbook is available for $64.95 from www.monicarule.com.au.